Biomega renews its curatorial commitment to cherry picking the world’s top designers to design its bicycles. 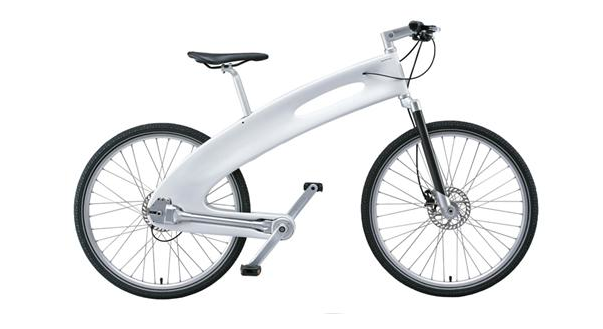 Ross Lovegrove displays his organic essentialist sensibility through his fresh vision of an integrated bicycle. 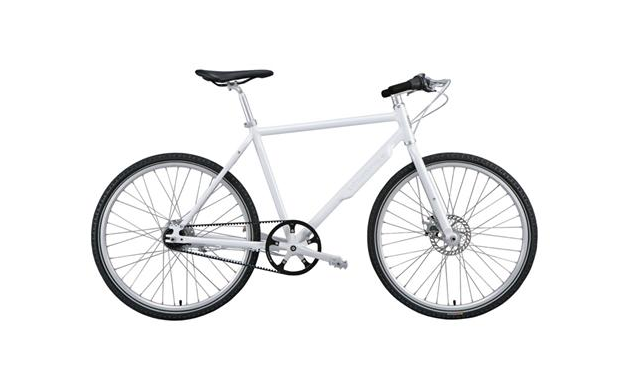 His integrated solutions and groundbreaking design makes the LDN bicycle a true urban tool. While Danish design group KiBiSi stirs things up with an innovative newcomer NYC, following Biomega’s heritage of chainless bikes featuring a belt drive for smooth urban commuting and an integrated mudguard. Biomega once again combines groundbreaking design with strong urban references and technical features to accommodate modern city lifestyle. The LDN is designed by London based Ross Lovegrove. Its frame is made from carbon fiber sheets formed and layered to make a stiff and lightweight one-piece monocoque structure. LDN’s form is derived from a wishbone, linking all the necessary components of the drive steering and drives systems in the most direct and economical way possible. The hole is there to lighten the bike’s mass and to provide a detail from which to hang the bicycle on the wall, thereby saving space in restricted urban interiors. All moving parts of the bicycle are state-of-the-art selections designed to make LDN a true urban tool. The NYC takes its cue from the iconic Biomega bicycle CPH, reinvigorating Biomega’s status as a pioneer of chainless bikes – this time with a smooth, quiet carbon fiber belt drive. The NYC’s sleek and no-nonsense look integrates a front mudguard in the aluminum down tube complimenting its aggressive, yet reliable urban driving properties. 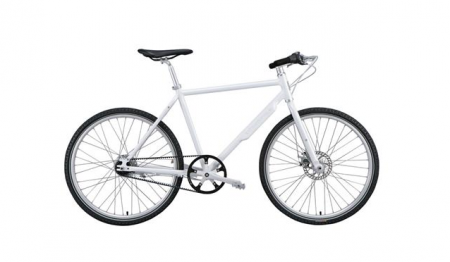 The NYC is designed by the three creative forces of Danish design group, KiBiSi, with the ambition to create an honest means of transport with the potential of a classic. Biomega dedicates this ultimate bicycle to the ultimate city – NYC.